For people across all health careers, violence at work is a real and frightening concern. While it could involve someone you work with, this is highly unlikely to occur. Generally, the problem comes when dealing with patients – some of whom may be suffering from a mental health disorder. Other patients are in severe pain or frustrated with the quality of care and the time involved for them as they wait to access care. The culmination of all these factors can be that patients become violent and this is, unfortunately, then directed at those working in health careers. Fortunately, there are measures you can take to calm a potentially violent situation and help protect yourself, other employees and also patients who are not involved in the specific situation that may become violent. Depending on where you work, there will likely be policies in place indicating the correct procedures for dealing with violence in the workplace. Now as well, signs are often put up in highly visible places to communicate to patients the policy regarding staff response to violence. The vast majority of NHS workplaces have strict regulations and rules to protect employees and patients. Usually, these will be communicated when you first start a new role. If they are not explicitly stated, they will normally be provided in written format. You will be expected to know the procedures and should take responsibility to ensure you understand exactly how you must respond to a challenging situation that could escalate to violence in the workplace. Not all situations need to become violent ones. Often, there are warning signs and you can learn how to respond to such signs. This helps to diffuse the situation, calm the patient and prevent someone from becoming seriously injured as a result of aggression on the part of the patient. Ask your employer about empathy skills training and any additional training that can help you learn how best to speak with a patient who may be experiencing frustration. Where a patient has a mental health disorder, this can sometimes be more challenging. A patient with schizophrenia may, for instance, feel extremely afraid and paranoid that you are actually going to hurt them. Such situations can be very difficult, particularly as the patient genuinely may not mean to harm you, even where this is the end result. Where a situation cannot be diffused by staff alone, police should certainly be called. In particular, if someone has been hit and more so if they are subsequently injured, police must be involved as well as an ambulance where medical care is required. A report should be filed and charges may then be pressed against the patient. Most importantly, the patient needs to be in an environment where they cannot hurt another person. For this reason, it is essential that police are involved once a situation escalates to a physical one. If you have unfortunately been the victim of workplace violence, it can be a scary experience to return to work. Even if you are not severely hurt, it can still be a frightening situation. Many people in health careers who are attacked by patients find it stressful and challenging to integrate back into their health role. You may need to access counselling support to help you talk through your issues and learn how to manage workplace emotions you are experiencing as a result of the attack. Every employee deserves a safe and respectful workplace. 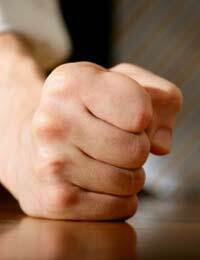 While violence at work is never acceptable, neither is verbal abuse. Usually, however, verbal abuse can be addressed without police involvement. It is critical when you start a new health career – especially where you will work directly with the public – that you inquire about workplace policies on both verbal abuse and violence. You and all other patients you help deserve a safe, healthy environment.